Over 20 Grey Bruce-based organizations and individuals involved in music came together for a unique discussion on October 23. The goal of the afternoon get together was to find new ways to build connections to support the development of audience and musicians in the region. The Round Table, which took place at Owen Sound’s Harmony Centre, was the beginning of a consultation process to launch new strategies, programs, communication, and partnerships to foster music in Grey Bruce. Participants were welcomed by Marion McDougall, SweetWater Board Member and Chair of the Education Outreach Committee. SweetWater Chair Colleen Purdon led the discussion which generated several new ideas as well as numerous revealing perspectives about the area’s current music scene. A key issue that emerged was the need for better music education opportunities for students. Everyone agreed music education cuts within schools makes it imperative for others in the community to fill this void until programs are restored to their rightful place as part of Ontario’s education curriculum. Others noted many local musicians are aging and it’s imperative to connect with a new generation of musicians. Following the theme of developing connections, participants also spoke about creating partnerships not only among the Grey Bruce music community but also with non-music organizations focused on expanding audiences for arts and culture events. Other participants emphasized the need for more connections between different genres of music such as classical and rock or folk and jazz. Some local organizations have found this crossover has resulted in larger concert audiences. Access Music is a year-long project supported by Community Foundation Grey Bruce. A special thank you to everyone who participated in this initial round table discussion. 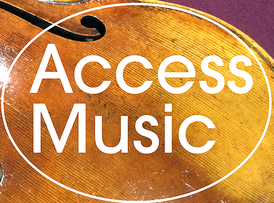 SweetWater welcomes any interested organizations or individuals who would like to be part of the Access Music project. To be added to the email list, contact Colleen Purdon cpurdon@bmts.com . Details will be announced later this fall about the next round table discussion focusing on future steps.